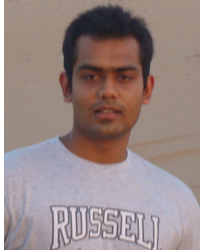 Back in Dec 2012, Pratik had written an article which clearly suggested that while the broad market may not go anywhere much, there were a number of money making opportunities in the market which should be seized by prudent advisors and investors (Click Here). He then followed this up with an article in Aug 2013, where he again reiterated a sector driven and a stock specific approach to make money - rather than be focused on the broad market (Click Here). In this piece, he showcases some hard data to prove the complete futility of Sensex gazing, when the real action is at a sector and stock level. The last 5 years for equity investors have either been a frustrating experience, a rewarding experience or a disastrous experience - based on the equity investing strategy adopted. For most investors who continue to track the Sensex to form their opinions on markets, Pratik's data and approach should be an eye-opener. Read on as Pratik shares his thoughts on why Sensex gazing adds no value and where he believes money can actually be made in the market - including a couple of sectors he hasn't discussed earlier. I have consistently maintained a view that the Sensex is not a good barometer to gauge money making opportunities in today's market. The Sensex has gone nowhere in the last 5 years and may continue to remain directionless for some more time. But, if you stay fixated on the Sensex, you will overlook many money making opportunities that the market is presenting us. In the last 5 years, the Sensex has touched 21,000 three times - in 2008, 2010 and again last week. While the topline number of the Sensex is the same at 21,000, take a look at how different the picture is when you look at each of the 30 constituents of the Sensex. Roughly half the Sensex made money, the other half lost money and the overall Sensex thus has remained flat. Drawing a conclusion that the market has delivered no returns is however erroneous. It is more accurate to state that one section of the market delivered good returns, while another section lost a lot of money. The key therefore for advisors, distributors and investors is to stop looking at the Sensex and start focusing more at sectors and stocks, if you really want to make money in this market. As can be seen from the Sensex components, Power, Capital Goods, PSU, Metals, Infrastructure Sector have been clear underperformers and I don't see a trend reversal in these sectors happening soon. Technically a Trend is likely to continue than reverse suddenly. 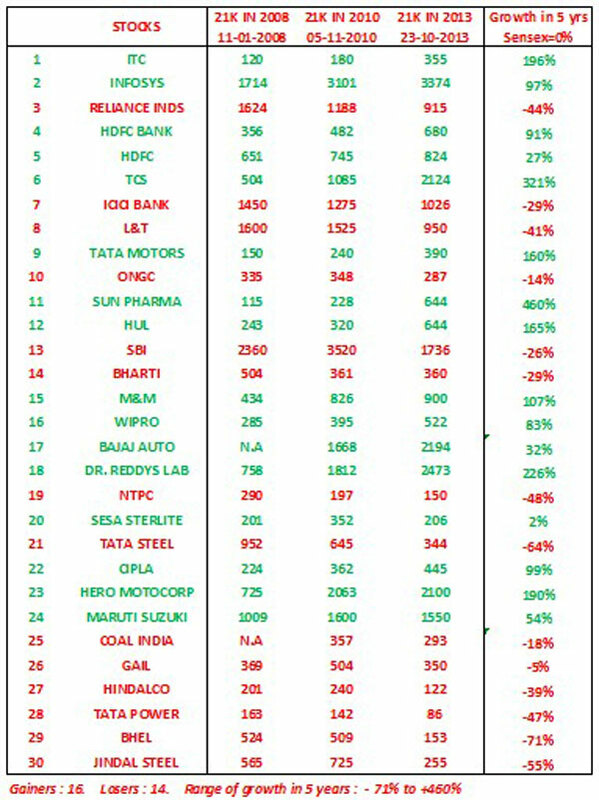 IT, Healthcare and FMCG have been clear outperformers. At this point no topping out in I.T. Sector, Healthcare Sector and F.M.C.G Sector is seen hence investment in these sectors should still give returns. Let me now look at the US dollar, which I believe will continue to influence many sectors in our market, and then I will discuss a couple of sectors which I hadn't covered in my previous articles. I will then provide a quick review of where we stand on some of the sectors covered in my previous articles. 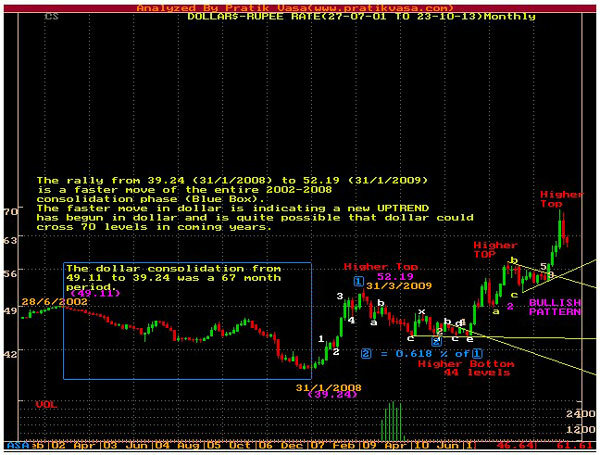 When Dollar was trading at 44 levels I was bullish on it and had given a target that dollar is likely to achieve 65 to 70 levels in 2013. While we have already seen dollar at 69.16 levels the outlook on dollar still remains bullish. Dollar is in an uptrend and the recent fall from 69 levels has not seen a faster retracement so the major long term dollar trend is upwards. The dollar should cross 70 in the coming years. 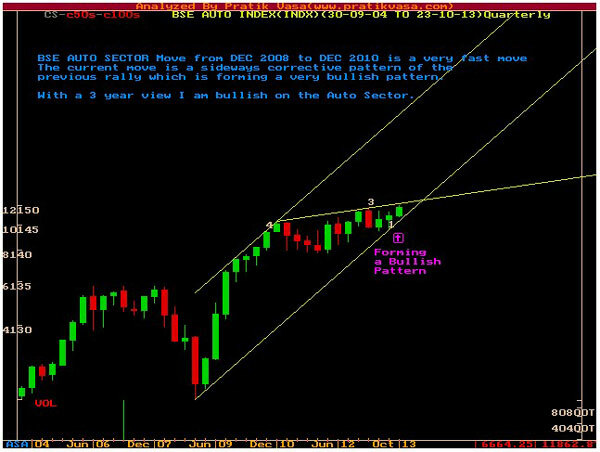 BSE Auto Sector is forming a corrective pattern and the Bull Run in this sector has not yet begun. This sector gives a good buying and accumulating opportunities going ahead. Auto and Auto ancillary stocks together look a great long term investment opportunity. 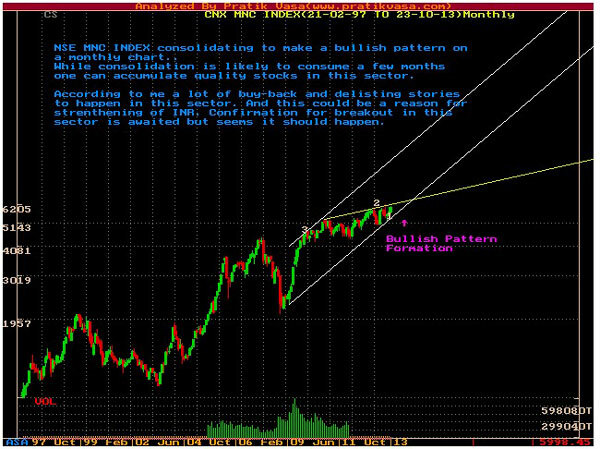 The MNC sector is forming a Bullish pattern on the monthly chart. 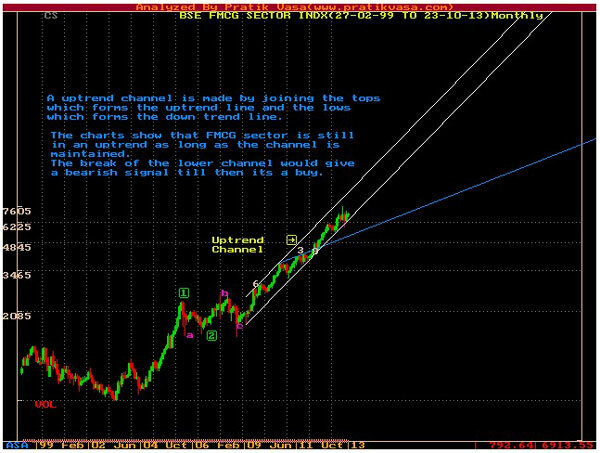 The rise in dollar should attract a lot of Buy-Back in MNC stocks which could be a reason for this sector to go up. Also this sector is a good mix of F.M.C.G, Healthcare, I.T, Autos and Auto-Ancillary. 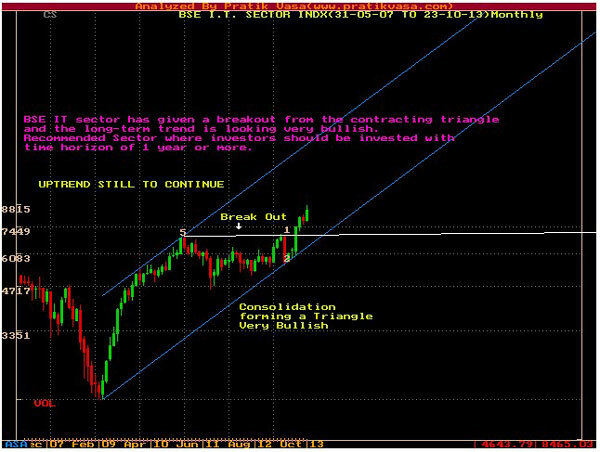 In my previous article dated 05/12/2012 (Click Here) and 06/08/2013 (Click Here) , it was predicted that I.T sector is forming a bullish consolidation pattern which is likely to open upwards and investment opportunities is seen in this sector. Even in the current market scenario investment opportunities can be done in this sector. Also weak rupee should make this sector favorable for investments. The uptrend channel is made by joining the tops which forms the uptrend line and joining the lows forms the down trend-line. While the overall trend is intact on the higher side the break of the lower white channel shown is crucial to confirm a Trend- Reversal. 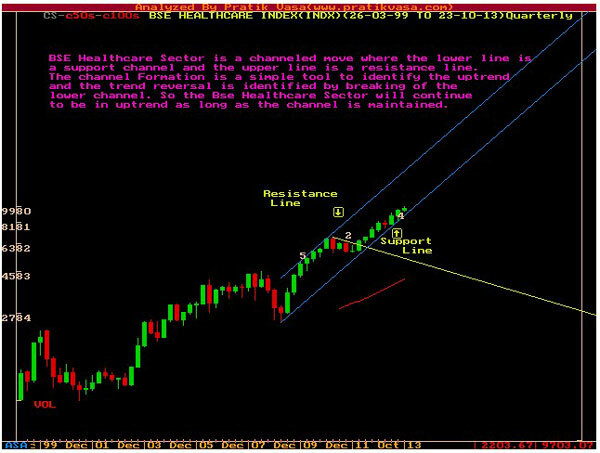 The Healthcare Chart is similar to the F.M.C.G sector is forming uptrend channel and trend reversal will only be confirmed with the break of the lower blue support line. Sensex since 2008 to 2013 isn't making higher highs or lower lows, bars are typically overlapping as the market trades in a range. In this environment a trend fading strategy, selling highs and buying lows, is the perfect way to trade, invest. In this market at current levels there are investment opportunities in the sectors discussed above. In general for the broader market, on time-wise calculation the Bull Run which began in 2003 continued till 2007 which had to be corrected and this correction by rule should take more time. Sensex has already been correcting for around 5 years (2008-2013) and could still continue till 2015 -16. Exiting the market because the Sensex is flat is not a sensible strategy. There are many money making opportunities at a stock and sector level. Being nimble and adopting this kind of a strategy can help you make money even if the Sensex remains flat. Alternatively, for retail investors who may want to save and invest regularly, accumulating money in equity fund SIPs will be a good idea, so that they can accumulate a good amount before a new bull market is born.